Bertha's Revenge is produced in Ballyvolane House Spirits Company distillery. 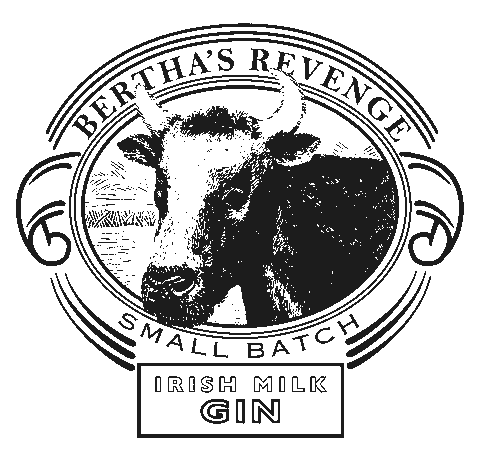 Their most popular expression is Bertha's Revenge Irish Milk Gin Small Batch which takes its name from the world’s oldest cow named Big Bertha, who lived for 48 years and birthed 39 calves. Flavour profile of this Gin typically features notes of lemon zest, pepper, milk and spicy. What does Bertha's Revenge taste like? The Flavor Spiral™ shows the most common flavours that you'll taste in Bertha's Revenge gin and gives you a chance to have a taste of it before actually tasting it.